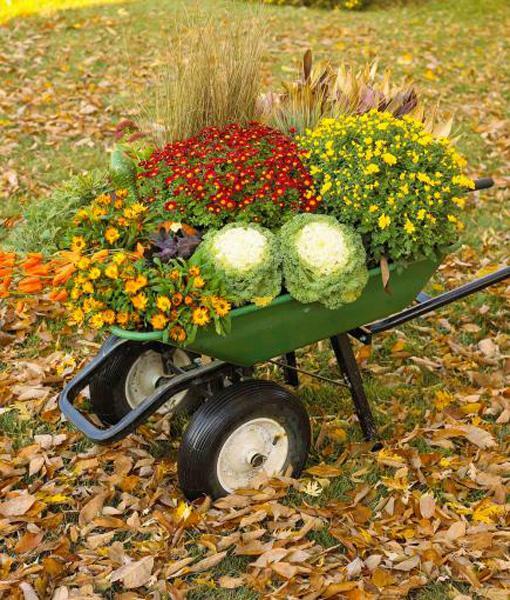 Fall flowers look fantastic in garden containers, flower pots, and planters. 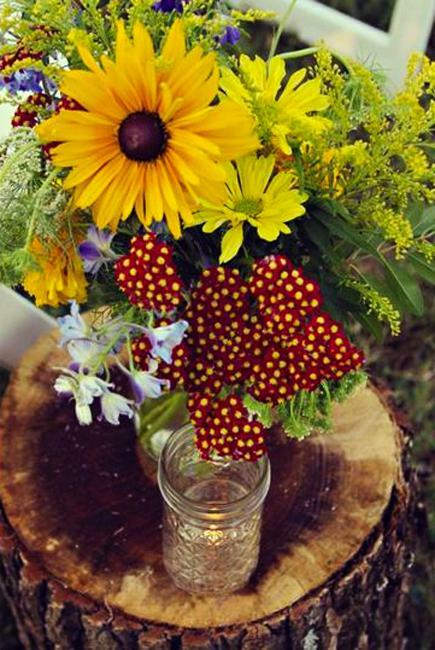 Floral arrangements in clear glass vases or ceramic bowls add bright accents to interior decorating. 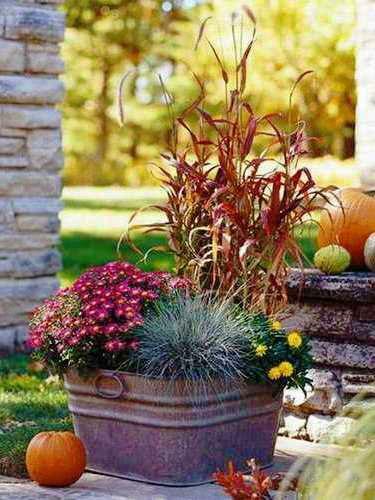 Pots and planters with fall flowers create vibrant outdoor home decorating celebrating the spectacular season. 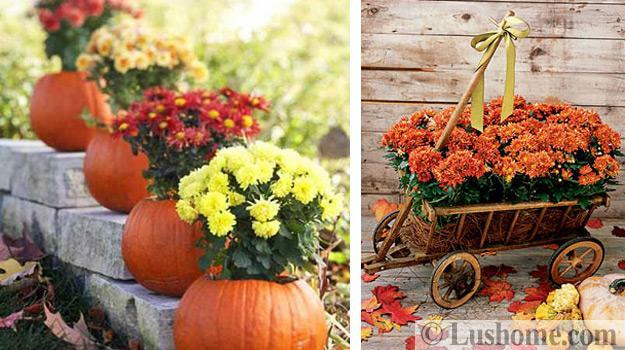 You can arrange fall flowers in various original containers, add pumpkins, baskets with fruits or branches with leaves, and enjoy the flexibility of your creative fall decor. 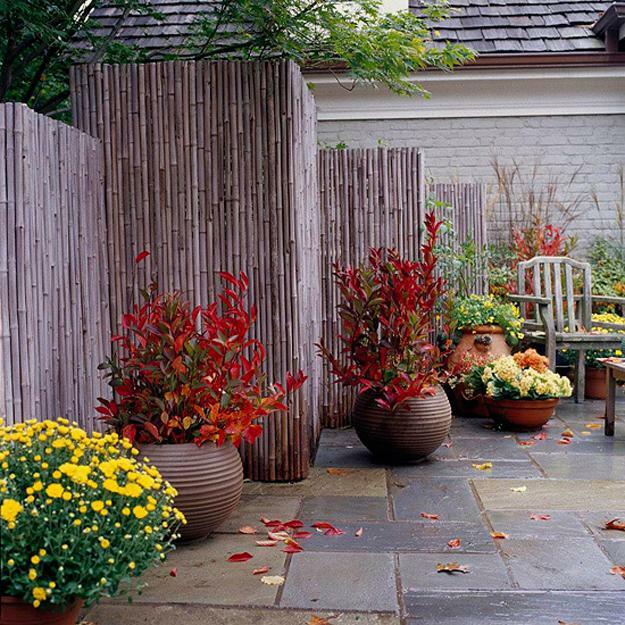 Using planters, pots and decorative containers allows rearranging yard decorations and design new seasonal displays in no time. 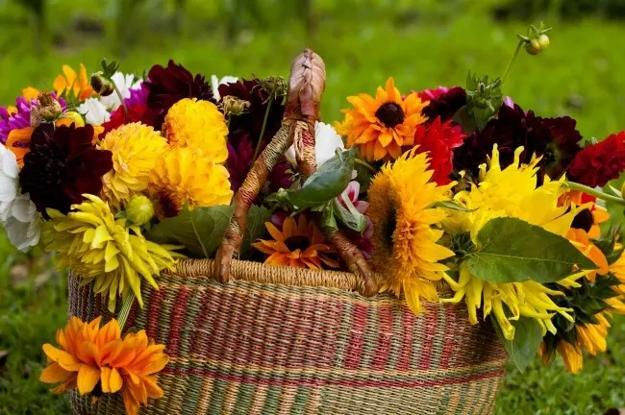 You can decorate your veranda or patio with the charming fall flowers in original pots and enjoy the distinct aroma and splendid beauty of natural fall decorations. 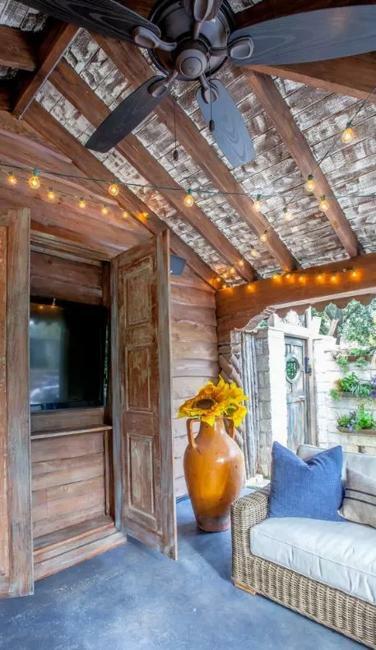 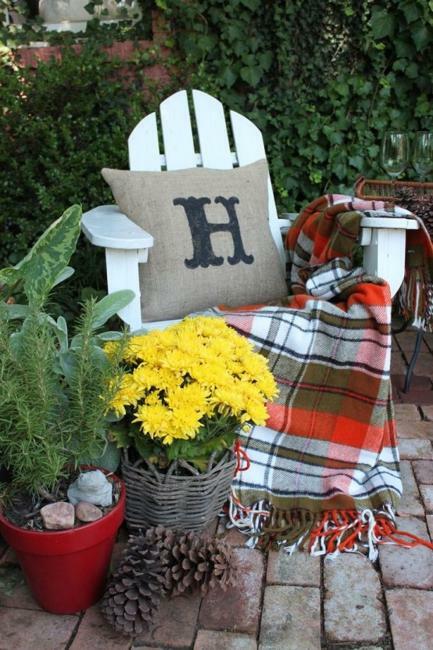 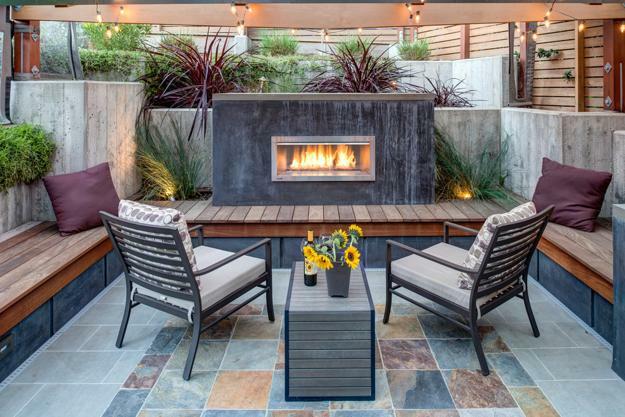 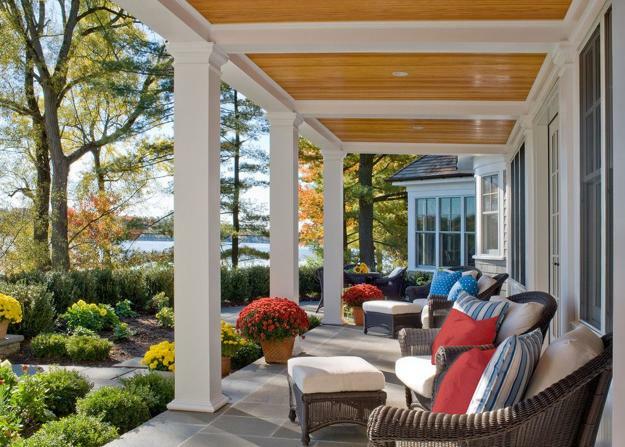 Here is a collection of attractive and creative ideas for decorating your outdoor living spaces and rooms with fall flowers. 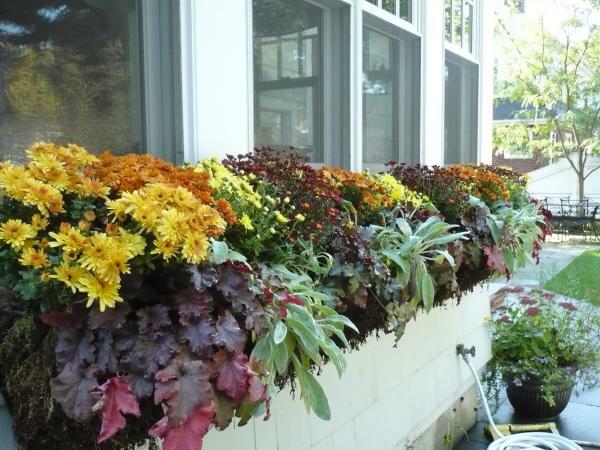 Many people use various containers for window ledges and balconies. 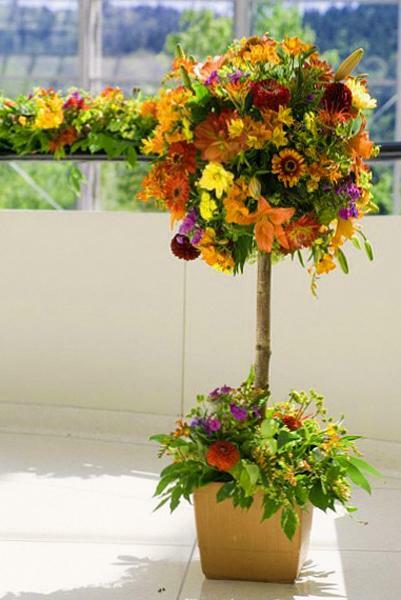 You can hang potted flowers from the handrails or add floral arrangements in glass vases to your rooms. 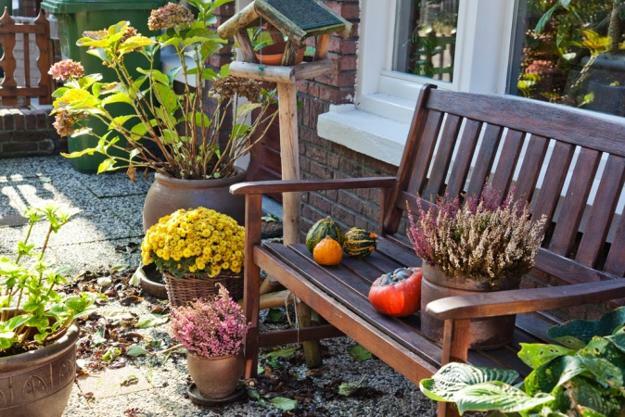 Also, you can decorate your patio and walkway with colorful fall flowers or add attractive flowering plants to your door. 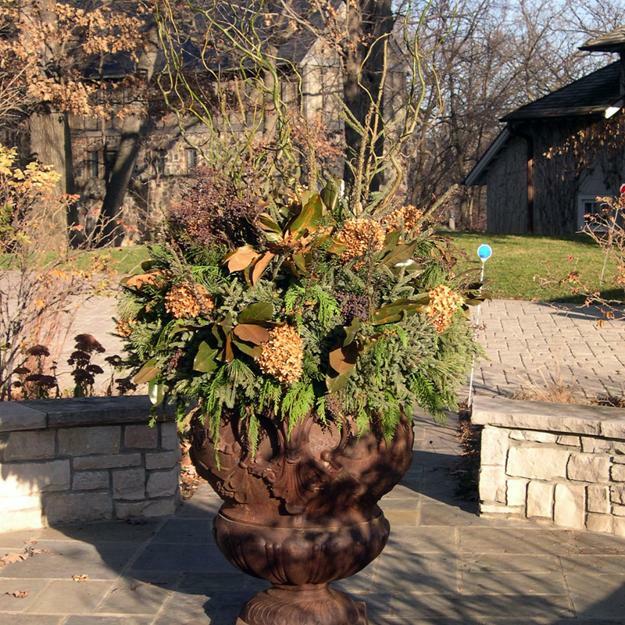 Many people prefer the look of natural terracotta, but keep in mind that there are numerous original ideas for pots and planters which can add character to your fall flowers displays. 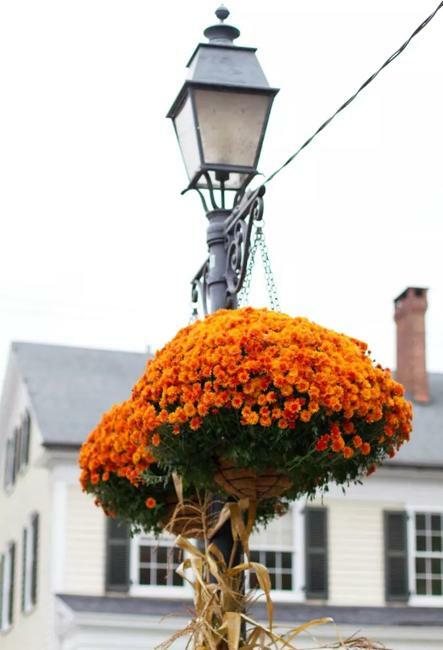 Metal and plastic containers, recycled items, and old shoes make beautiful equivalents for designing attractive yard decorations with fall flowers. 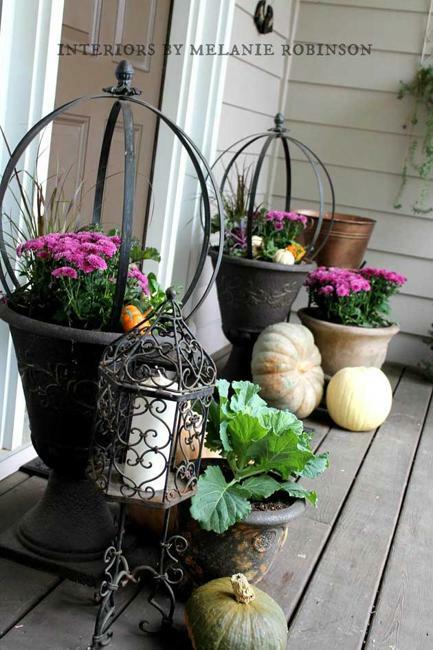 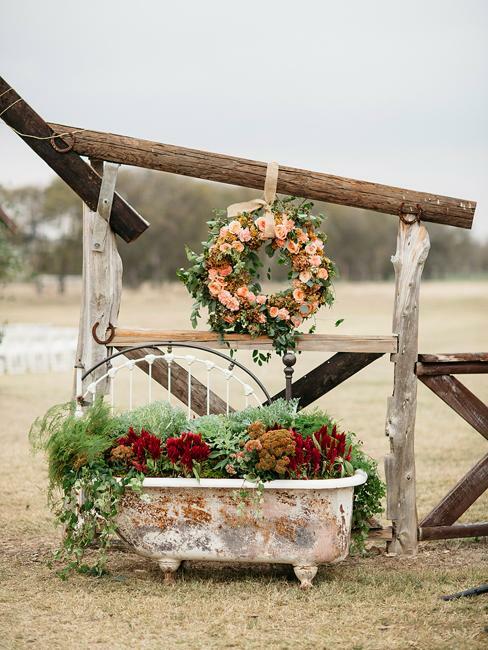 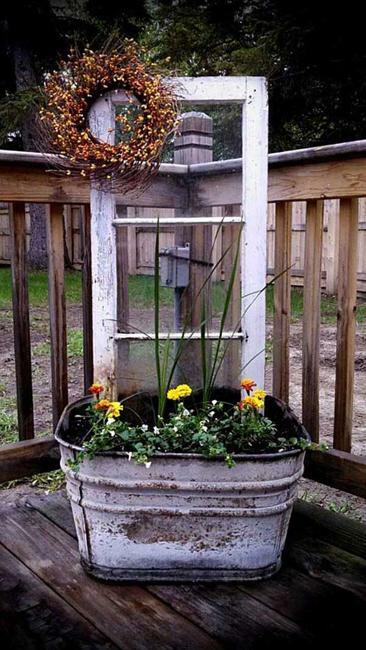 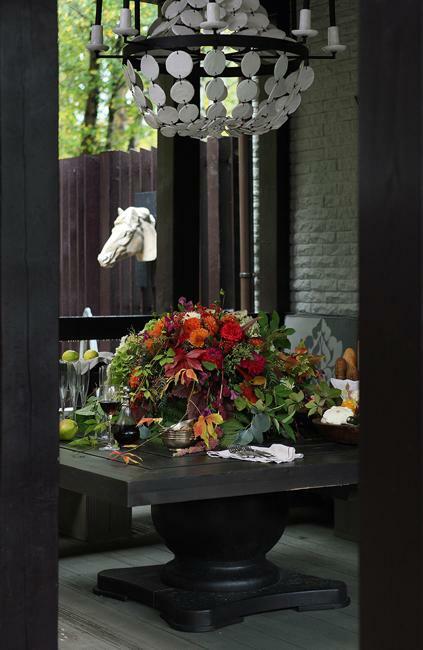 Be creative when choosing garden containers, flower pots, and planters for fall decorating. 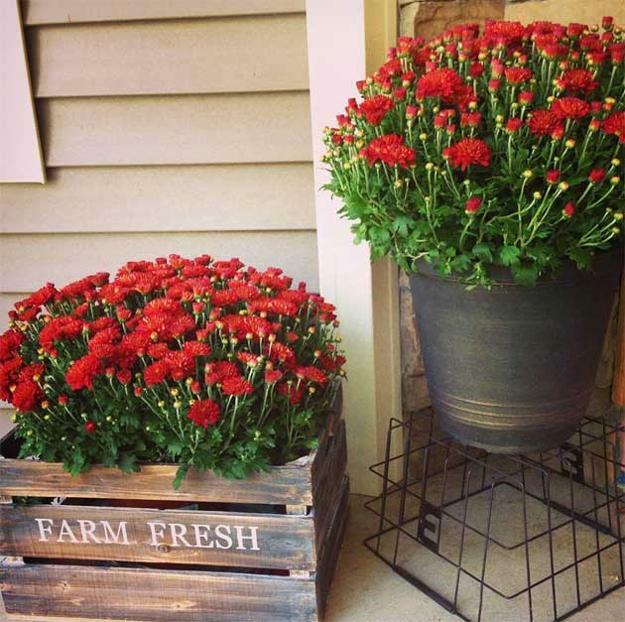 An attractive design or fresh idea adds to the beauty of home decorating with flowers. 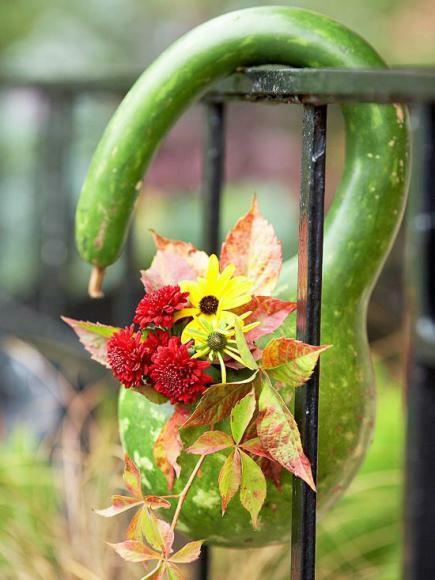 Check out the yard decorations from the collection and use your imagination to improve them creating unique blooming decor for your home.